Earlier this week, amidst the characteristically smoggy winter of Delhi, the NSIC Exhibition Grounds down in the Okhla industrial area prepared to welcome an array of eminent collectors from far and wide looking to spend a rupee or two on some of the world’s finest contemporary artists. 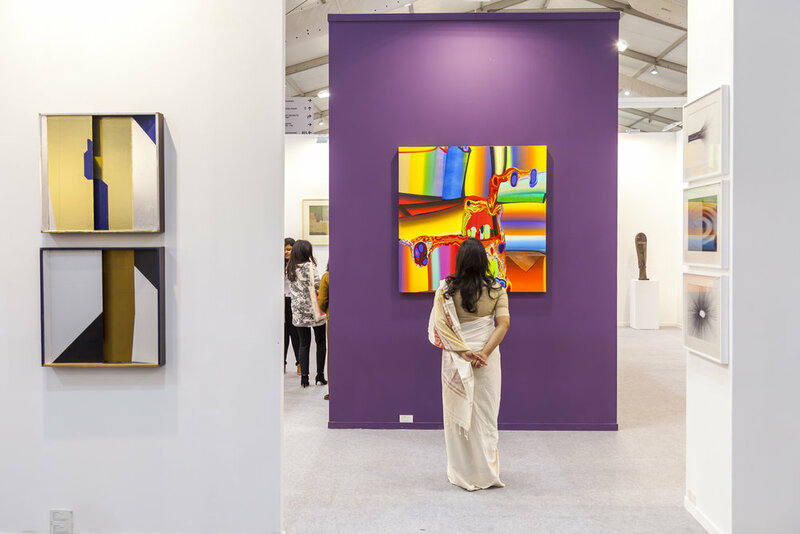 Now in its 11th year, this was the second edition of India Art Fair (IAF) to take place under the directorship of Jagdip Jagpal, previously of Tate and The Wallace Collection in London. 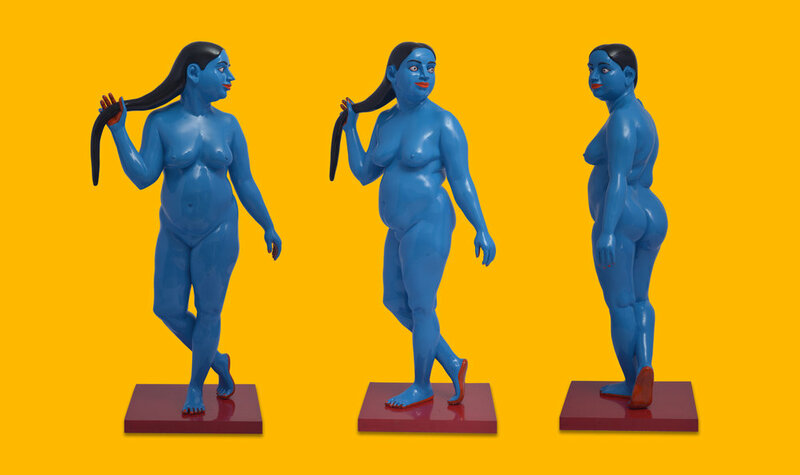 And with over 75 exhibitors, what was on display during the days of the fair made a powerful collective statement about the prowess of India’s contemporary art offer. As one might expect from South Asia’s most important global stage for the region’s contemporary art, the major players of India’s gallery landscape were all here - the likes of Chatterjee & Lal (Mumbai), Nature Morte (New Delhi), Chemould Prescott Road (Mumbai) and Experimenter (Kolkata). But alongside these trailblazers were other, more emerging galleries, such as Blueprint 12 (New Delhi), Swaraj Art Archive (Noida) Britto Art Trust (Dhaka) and Metta Contemporary (Navi Mumbai). Visitors and buyers alike had the pleasure of browsing artists like: Sohrab Hura, the second Indian photographer to be selected to join Magnum Photos; Zarina Hashmi, who works in intaglio, woodblock, lithography and silkscreen; acclaimed modernist painters like Arpita Singh, Amrita Sher-Gil and Mrinali Mukherjee; as well as cutting-edge performance artists like Mithu Sen and Sajan Mani, who explore feminist and caste issues respectively. Indian galleries made up 70% of the fair’s display this year - a proportion that director Jagpal is determined to sustain for future editions too. But highlights from the galleries that came from abroad also reflected IAF’s effort to bring some of the greatest global names in art to India. Berlin-based gallery neugerriemschneider displayed works by Ai Wei Wei and Olafur Eliasson. And German contemporary photography Thomas Ruff made his IAF debut at David Zwirner Gallery’s stand, alongside works by Turner Prize winner Wolfgang Tillmans. Nonetheless, Jagpal avoids too clear a distinction between what is considered “local” or “international”. South Asian art is international art, she insisted at the opening of the fair. Instead, what she’s more concerned with is shining greater light on the regional diversity of India’s own contemporary art, shifting focus away from over-represented hubs like Delhi and Mumbai. It was visible in Tribal Art Forum’s exploration of art from north-eastern regions like Assam, Sikkim and Meghalaya, or in the Museum of Art and Photography’s photo documentary about life in Madhya Pradesh. IAF is also keen to provide a greater platform for India’s other neighbouring South Asian countries - a wise move, some may say, given that IAF’s position as the dominant art fair of the subcontinental region has come into question ever since majority stakeholder MCH Group’s decision to sell its shares in it. and emerging artists. Conceived of by artist Tarini Sethi and graphic designer Anant Ahuja, both in their late twenties, this edgy, young festival returned for a bigger second edition this year, taking place in Studio Khirki - a disused warehouse space of a former leather factory - exhibiting works by around 130 artists under the theme of “Alternate Realities”. It also included a mural painting show on the walls of Dhan Mill Compound. 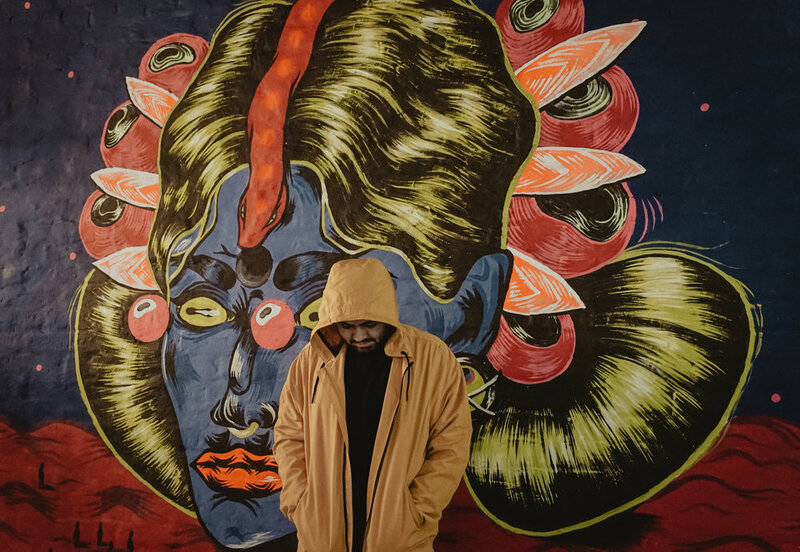 Sethi and Ahuja’s aim with TIRAF was to “present new and undiscovered artists in spaces that were not originally created for an art exhibition” and to “showcase their work in ways and forms that are not conventionally meant for displaying”. This year’s programme has shifted many Delhiites’ gazes its way, and includes artists such as: photographer Akshay Bhoan, whose work studies trauma, migration and memory; Bangalore-based graphic designer Vimal Kandoth; Delhi-based illustrator and collage artist Vartika Sharma; and abstract painter Anil Athvayu. The emergence of countermovements like TIRAF reflects an appetite for alternatives that challenge the status quo - a curious disruption in what is a vast and therefore extremely diverse art metropolis. For many, such spaces provide a welcome contrast to the collector-driven environment that commercial art fairs tend to operate in, adding a deeper dimension to Delhi’s diverse artistic offer. IAF too is conscious of the need to break out of its own commercial walls and develop a wider engagement with the creative and cultural community of the city. The newly launched IAF Parallel programme builds ties some of Delhi’s best cultural institutions to help to promote their activities. At the National Gallery of Modern Art one can currently find a solo show by Upendra Maharathi, while the Kiran Nadar Museum of Art has just opened an Arpita Singh retrospective; the Indira Gandhi National Centre of the Arts and galleries from the South Delhi contemporary arts hub Lado Sarai have also opened special activities in light of the annual art weekend. Just a few days are enough to get a sense of the different agents at play in the city’s art ecosystem, mobilising audiences, creators and collectors towards sometimes divergent and sometimes common directions. And despite the smog, it certainly seems like there’s no better time of year for art lovers to see and be seen in Delhi. India Art Fair ran from Friday 1 to Sunday 3 February. The Irregulars Art Fairs continues until Tuesday 5 February.